T.N. govt seeks about 15,000 cr aid from Centre..! The Tamil Nadu government on Thursday sought about ₹15,000 crore as Central assistance towards relief and rehabilitation activities in Cyclone Gaja affected districts in the State. 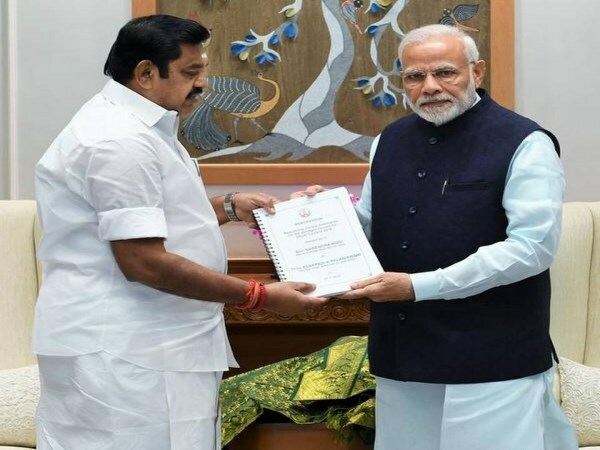 Chief Minister K. Palaniswami met Prime Minister Narendra Modi in Delhi with a plea for Central assistance for various sectors in the affected districts, the State government said in Chennai. “I have submitted a memorandum to the Prime Minister detailing the extent of the damage caused by the cyclone,” Mr. Palaniswami said in Delhi, adding the State has sought about ₹15,000 crore. He said he had also urged Mr. Modi to depute a Central team to assess the damage, besides seeking an immediate release of nearly ₹1,500 crore towards “temporary renovation” activities. According to the abstract of the memorandum submitted to Mr. Modi by the Chief Minister which was released here, Tamil Nadu has sought a total sum of 14,910 crore towards permanent renovation activities in various areas, including the power sector which has been badly hit. Cyclone Gaja had crossed the Tamil Nadu coast early on November 16 between Nagapattinam, about 300 km from Chennai, and nearby Vedaranyam. It had claimed 46 lives and left a trail of destruction in over ten districts, including Nagapttinam, Thiruvarur, Puthukottai and Thanjavur which suffered severe damage. The Tamil Nadu government has already released a sum of 1,000 crore for immediate relief and rehabilitation efforts in the affected areas.